When the pizza craving hits, there is only one place that offers hot, fresh pizza at prices that suit any pocket. 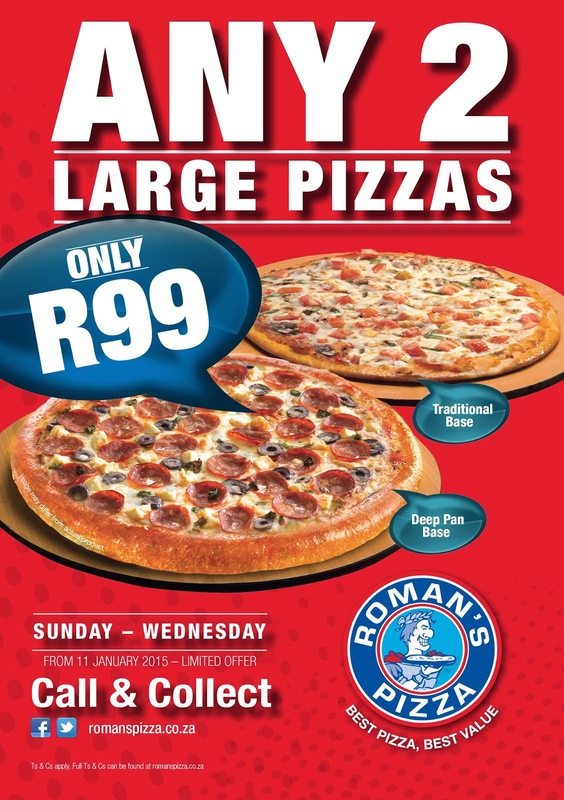 Roman’s Pizza knows that after the December holidays purses are feeling the pinch – which is why they are offering a fantastic new special: ANY two large pizzas in one box for only R99! Now everyone can enjoy Roman’s Pizza’s delicious traditional or deep-pan base pizzas, loaded with the tastiest top-quality toppings, without breaking the bank. The offer begins on Sunday the 11th of January 2015 until the 4th of March 2015 and the special is available every Sunday through to Wednesday. Every Roman’s Pizza meal is made from the finest fresh ingredients. All their meals are prepared to order & are therefore guaranteed to be fresh, delicious & straight from the oven. Roman's Pizza staff are there to ensure that the pizza experience is truly fit for a king. 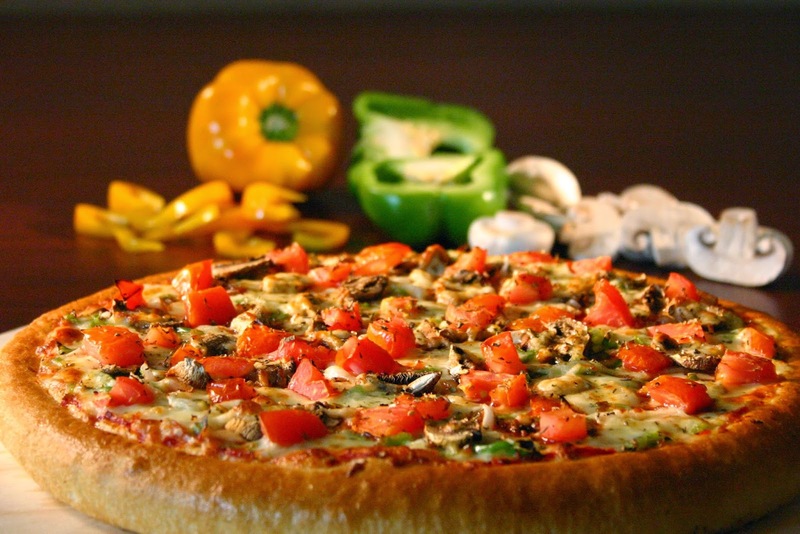 Roman's Pizza are pizza perfectionists, and they can prove it with their proud & passionate price promotions. I am going to make full use of this deal till the time it ends.